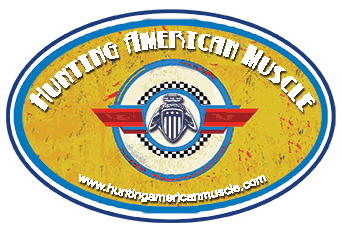 At Hunting American Muscle, we are always on the hunt for that forgotten gem in grandma's garage or an old dealership with a building or two of cars that miraculously never left the lot. Wherever there is a muscle car in need of some loving care, we will make it our mission to hunt it down and breath new life into it to preserve these monuments to American ingenuity. Our life long love for the definitive symbols of America's Manufacturing heyday has spurred our need to begin bringing these hallmarks of Detroit's best back into service. If they can limp, we will help them crawl and then run again like they should. Hunting American Muscle is on a Rescue Mission to restore American Muscle Cars. If you know of a muscle car that is drivable, we are interested in knowing and taking a look. Many think the first American Muscle Car was the Oldsmobile Rocket 88 in 1949. It spurred the American auto manufacturer's into a frenzied competition to build "the" American symbol of horsepower and performance. This in turn led to some gorgeous tamed down version that became best sellers to the public as a whole. Exciting things are beginning to happen here at the garage. Multiple restored CT 70 H Model Hondas have gone to new homes with more in the works and on order. Work on our Mercury Cougar continues. And, we are now the proud owners of a 1972 Mach 1. (from the seller, it was all original) 351 Cobra Jet, 4 Speed and well optioned. For current updates on all of our projects, please visit our Blog.